Our spring edition focuses on Iranian poetry, with a selection of new translations of poets including Forugh Farrokhzad, Nima Yushij and London Iranian writer, Ziba Karbassi. 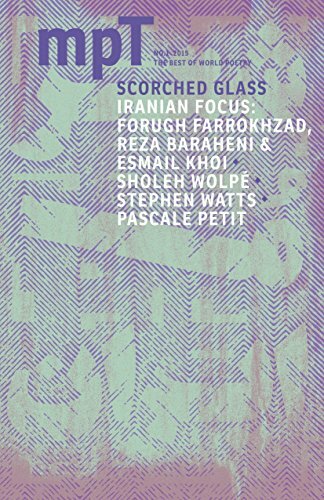 The featured translations have been the results of collaborations between UK-based poets, including Pascale Petit, Paul Batchelor and Stephen Watts, and Iranian poets and translators. ‘Scorched Glass’ also includes work from Choman Hardi, Tedi López Mills and Jack Mapanje.